Today the new application Siri0us has been pulled from the Cydia store because he is fearful that he will get sued. My site is down, PLZ DONOT try to access my site any more. Siri0us is removed. I have to keep my site up for activating iBluever! PLZ remove http://apt.if0rce.com from your Cydia sources. @myRepoSpace Can you please remove this package? As it uses unauthorized service. Please do not make me getting sued. ;-) thanks. Day is looking for an alternative voice recognition provider and could bring back Siri0us if he can find one. 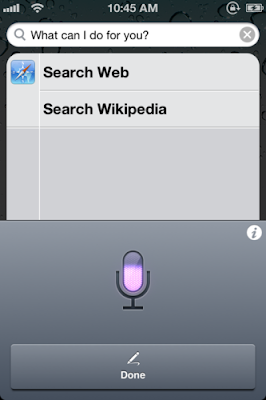 If I found a better voice recognition service, I will release it again. Thanks everyone! Nuance's service is great. I asked them if their will sell this service to Cydia app and what the price is. They just ignore my question.